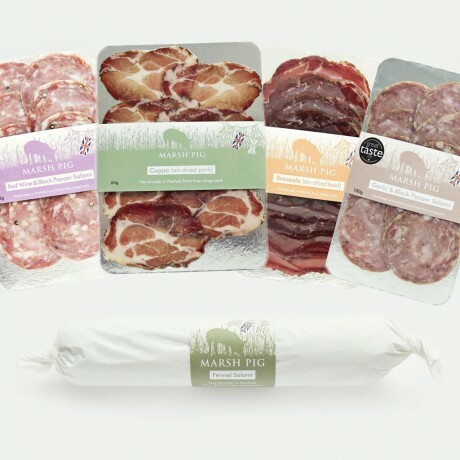 Marsh Pig has put together this fantastic selection for all the charcuterie loving foodies out there. All their charcuterie is cured from only the most exquisite cuts of meat, and expertly combined with finest quality spices. Free from gluten, lactose and wheat. Shelf life: minimum 10 weeks for the sliced products, 5 months on the whole salami.